Much thanks to Arman Liew of The Big Man’s World blog for this amazing recipe. 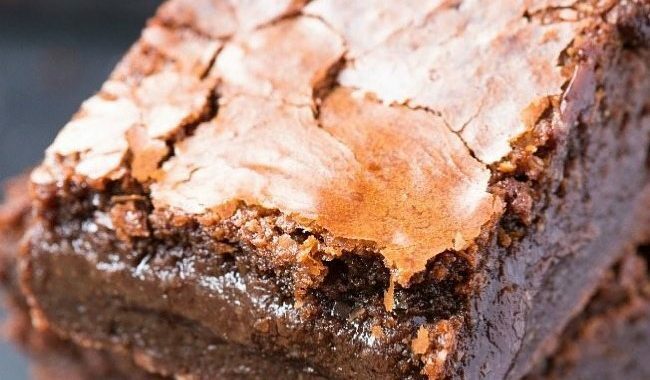 These rich, fudgy and delicious flourless fudge brownies need just three ingredients for the base and come with several healthy frosting options! Unlike traditional brownies, these contain no butter, oil, flour or sugar and are suitable for those following a vegan, gluten free, paleo, refined sugar free and dairy free lifestyle! Preheat the oven the 350 degrees, grease a small cake or loaf pan and set aside. In a small microwave-safe bowl or stovetop, melt your nut butter. In a large mixing bowl, add the sweet potato, nut butter, and dark cocoa powder and mix very well. Pour the mixture into the greased pan and bake for around 20-25 minutes or until cooked through. Remove from the oven and allow to cool completely. Once cooled, at the frosting and refrigerate for at least 30 minutes to firm up. Add all ingredients in a mixing bowl and mix well. Using a tablespoon, add dairy free milk until a VERY thick batter is formed. In a microwave safe bowl or stove top, on low heat, combine ingredients and heat until just combined- Whisk until a thick, glossy, frosting remains. * Adjust accordingly- Depending on the protein powder or thickness of cream cheese, you may need less or more. Brownies are best enjoyed out of the fridge. They are freezer friendly too.